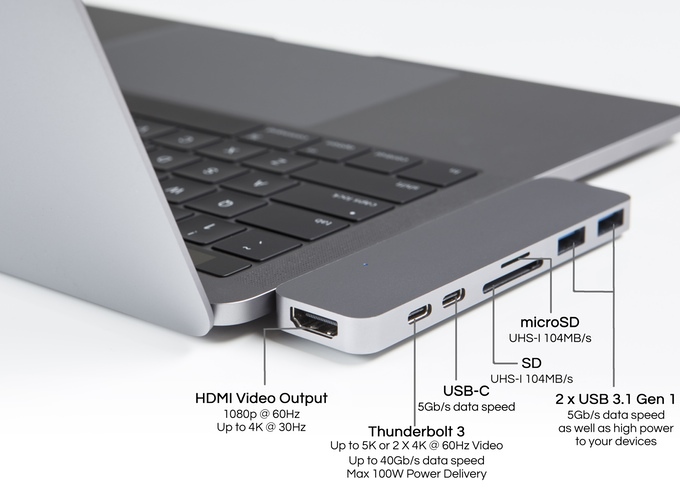 World’s Most Compact, Fastest 50Gb/s Thunderbolt 3 USB-C Hub for MacBook Pro. 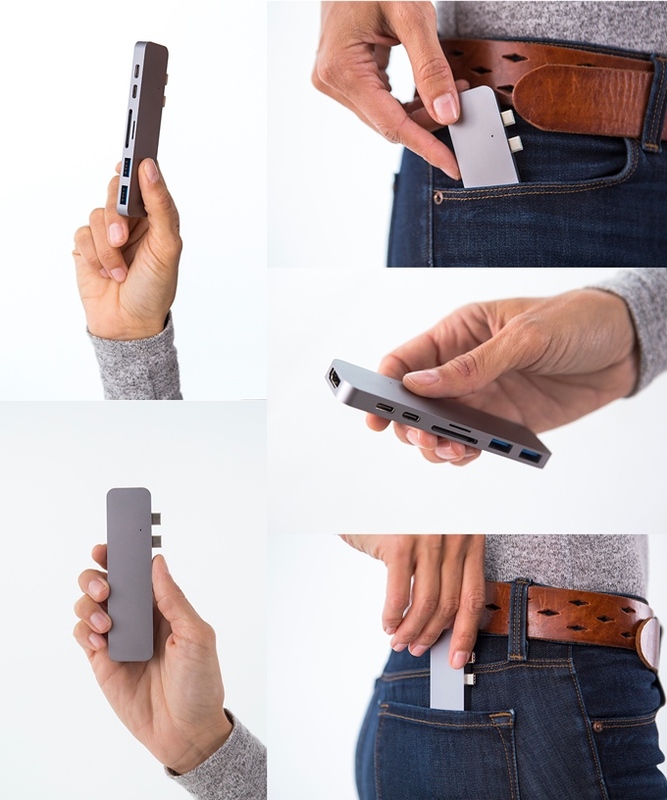 Adds HDMI, USB 3.1 x 2, microSD/SD, Thunderbolt 3 & USB-C. 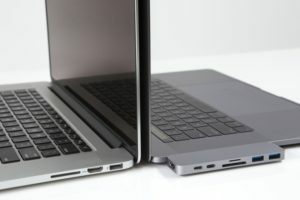 Unlike most USB-C dongles which still run on slow USB 3.0 (5Gb/s) speed, HyperDrive is 10X faster (50Gb/s) by using not one but two Thunderbolt 3 USB-C connections. Other Thunderbolt 3 docks are as big as a brick and nowhere as portable as the HyperDrive. Keep a HyperDrive already connected to all your devices at home or work and simply make a single, quick and easy HyperDrive connection whenever your MacBook Pro is at the desk. HyperDrive supports hot swapping/plugging so a single HyperDrive connection would instantly connect all devices already connected to the HyperDrive.